Rick was our second attempt to bring services in-house. 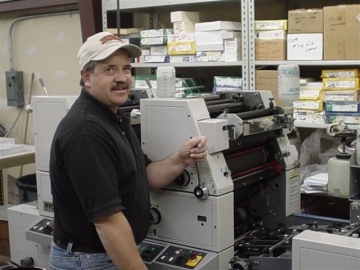 With many years of production experience, Rick was hired in 1998 to establish our in-house print shop. It started with one employee and one press and currently has three employees and four presses. Way to go Rick!